BrightLogic created a fun and exciting Quiz Game to educate booth visitors on a pharmaceutical brand drugs that was presented at the American Society of Hematology (ASH) Annual Meeting. This ActiveFloor System had all the necessary software flexibility for the project. 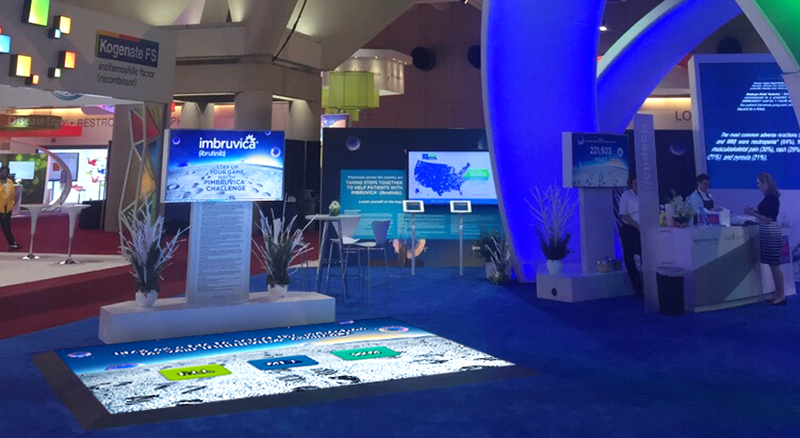 This flexibility enabled the client to expand the experience of the quiz game beyond the Interactive LED Floor by connecting an external monitor that guided the player through the game using our software, Floor Display. The quiz game developed by BrightLogic provided a fast and responsive experience while at the same time educated customers on the brand.